Over the past several months The Global Switchboard has had the pleasure of participating in Full Circle, a program of Social Venture Partners Pittsburgh (SVP). This impact accelerator works with non-profits over a period of three and a half months to tackle issues specific to the organizations. SVP Partners are paired with these organizations based on the their needs and then work directly with the nonprofits throughout the program. We have been working with a team of executive coaches to refine the story of The Global Switchboard’s purpose and impact, and to define a path as we move towards activating our network. 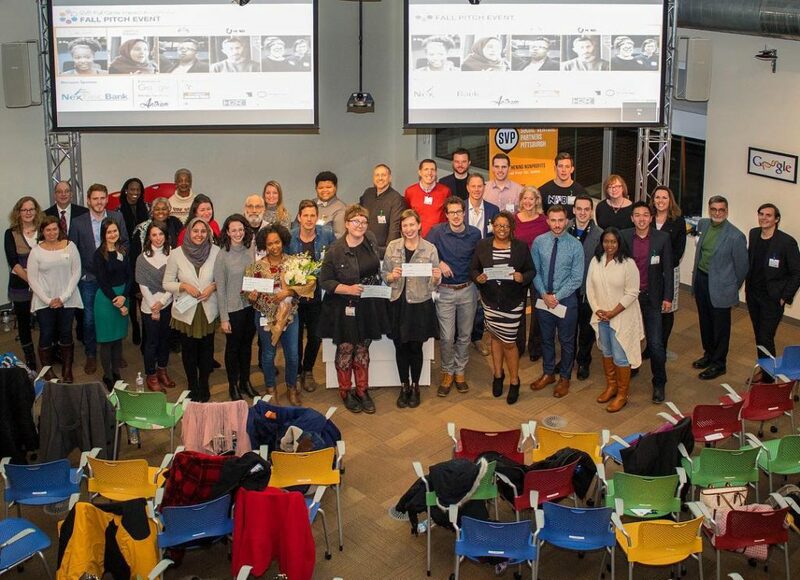 On Thursday, December 14th, we joined, Prototype, Ujamaa Collective, Never Fear Being Different, and Alliance for Police Accountability, as we culminated the end of our participation in the program with organizational pitches at the Google Pittsburgh HQ.